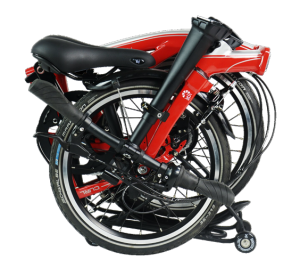 Dahon sent me a Curl last week, and I’ve been struggling with this review; how to highlight the Curl’s slickness without comparing it to Brompton? But you know what, sometimes you’ve just got to own it. 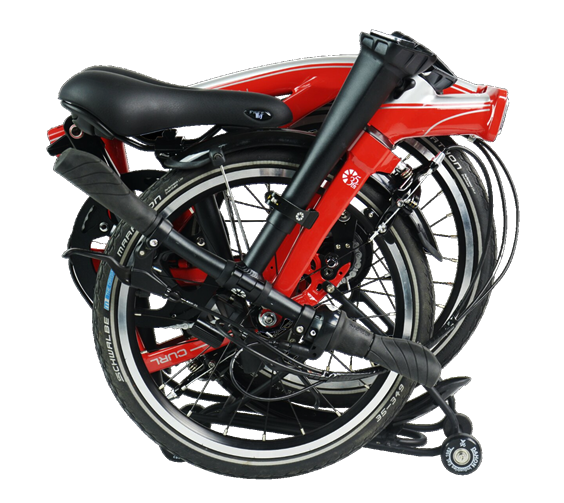 The Curl is totally a Brompton knockoff upgrade. 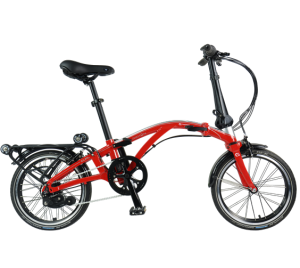 Seriously, there’s a lot of butthurt reviews of the Curl out there, mostly by Brompton fetishists, but if they were honest they’d have to admit that Brompton has needed a major makeover for some time. 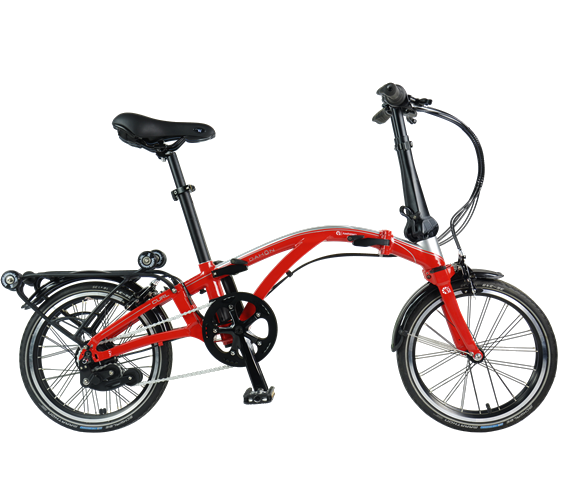 Dahon has put a lot of design work into this bike and their subtle and not so subtle improvements on a decades old design that predates the Brompton mean a bike that rides better, folds better, and repairs better. Stiffer frame, improved geometry means a much more responsive ride. Remember that first noodly ride on a Brompton? That’s all fixed. Shimano Alfine 8 speed internal gearing. I took a ride up to Corona Heights and while I did have to walk the steepest block, a smaller chainring or an Alfine 11 would give me mountain climbing gears. Oh dear lord, a few years ago Brompton bought a hub factory just so they could keep using Sturmey Archer 3 speed hubs. With the Curl, you won’t be locked into sole source repair parts for everything including the cables. That’s less than two inches taller, two tenths of an inch longer, and an inch and a half narrower. Is this really something worth arguing about on the internet? Look Ma, no twiddle knobs! I was impressed by the silence of the hub, the smoothness of the chain, and how confidently the bike tracked on the steep descent down 14th street. I even rode it no hands for a little bit. But really, it’s a Brompton knockoff, right? Nope, it’s an upgrade on a design that predates Brompton. Dahon has a great explanation in their quite snarky Curl faq.